So, Mom and I booked a food tour in Lisbon...because what better way to see a city than to eat your way through it? 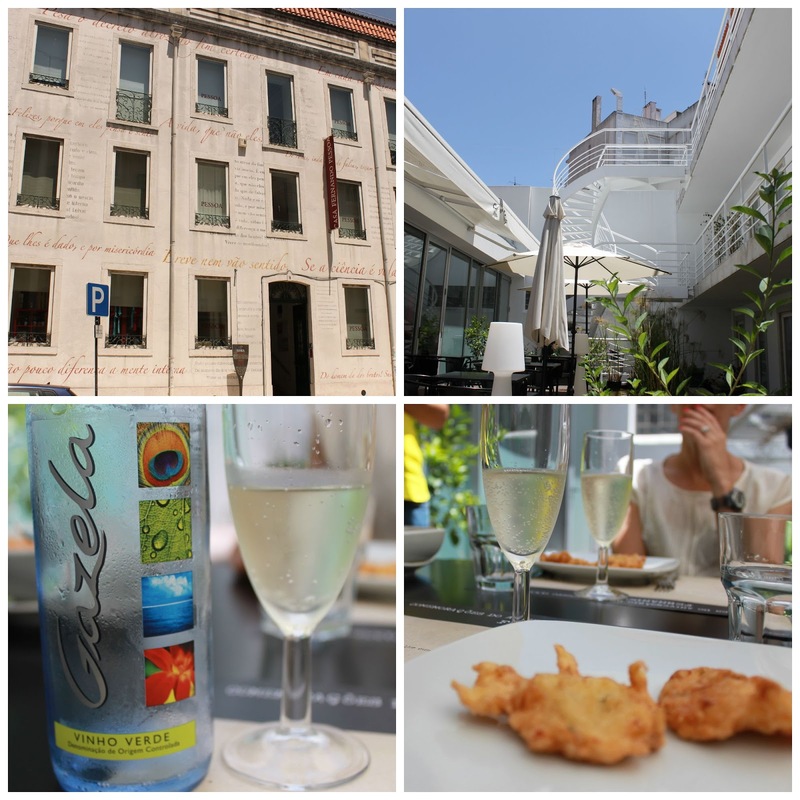 We booked our tour with Taste of Lisboa through the Campo de Ourique neighborhood...a city-within-a-city-type neighborhood similar to the way Georgetown is structured. Our tour guide, Filipa, grew up in the neighborhood and it was fun hearing her tell us about how the neighborhood is structured and has developed over the last several years. Our first stop was to Bolo de Chocolate, subtitled O Melho do Mundo Bolo de Chocolate (the best chocolate cake in the world). Now, I'm not a chocolate cake fan. I love chocolate in just about any form...except cake, so I was skeptical about this cake but my goodness...it was the best chocolate ANYTHING I had ever had in my life. Next up, we took a trip to the neighborhood's namesake, the Campo de Ourique Market. We spent quite a bit of time there exploring the market, sampling meats, seafood and tons of other dishes. 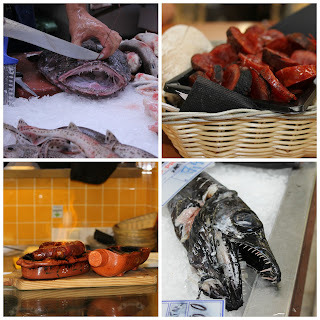 Fishy scenes from the market + sausage made on that gorgeous crock (BL). Yup, I ate the sausage. I think I'm only a vegetarian in the US. Next up, we took a trip to Moules (Mussels) and Beer, which has another locations called Moules and Gin. I had tried mussels a few times before but never liked them, so I wasn't really looking forward to this next stop, but I was up for a beer, so on we went! The craft beer scene in Lisbon is really starting to take off and the beers we had at Moules and Beer were phenomenal...as were the mussels. Oh my goodness, they were so good! I had never had mussels that I actually liked before...but these? I could not stop eating them! They paired so well with the beer, I couldn't stop eating...I did not want this tour stop to end! Our next stop though, was to finally taste some of those famous Portuguese wines! The Oficina do Vinho is an amazing little shop that scours the best wines in Portugal and brings them back to the shop where they serve them in giant steel casks that can be tapped so that customers can buy wines in any amount (from bottles to litres) and discover the different wine regions of Portugal. Our next stop was the Casa Fernando Pessoa. Fernando Pessoa was a famous poet who wrote many of his poetry from this house, which is also a restaurant. Our last stop was to the Hotel da Estrela, a small boutique hotel where we stoppefor some convent sweets. So-called because nuns used to make these sweets using the only ingredients they had - eggs and sugar. Pasteis de nata (which you'll soon see a lot of) are a form of these as are many of the desserts in Portgual. 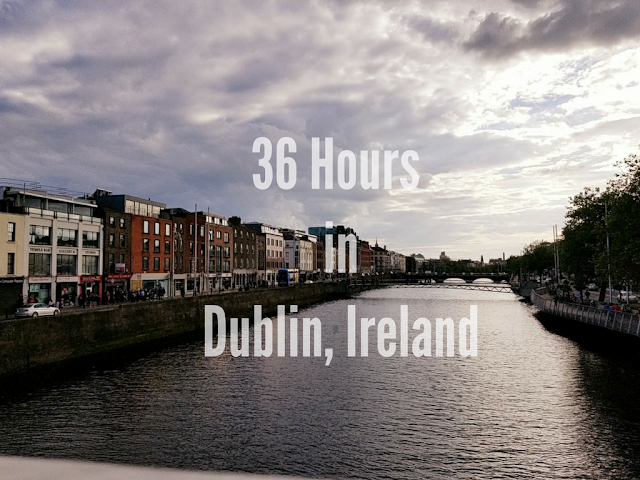 I didn't particularly like this one, but I did love everything else on our food tour! I would highly recommend Taste of Lisboa to anyone visiting Portugal! It was such a fun way to learn about the culinary history and sample some phenomenal food that I probably wouldn't have had on my own! I probably would have avoided almost everything we ate on the food tour (sausage, cod, mussels...) on my own, but since it was part of the tour, I felt like I had to try everything and I'm so glad I did because I loved all of it and have a new appreciation for some of the foods I previously thought I didn't like! Have you ever gone on a food tour? You can read about the one The Pilot and I did in Paris here. I can tell you, I'll definitely be adding thees to all of my international travels from now on! Maybe I should change my name to Planes, Trains, Running Shoes..and Food Tours!